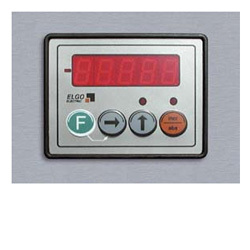 It is intended for a quick and accurate automatic setting of the desired board thickness. 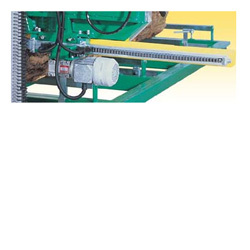 When the desired value (board thickness, height from the loading area and kerf thickness) is set on the display, the saw band arm is automatically moved to the desired position. 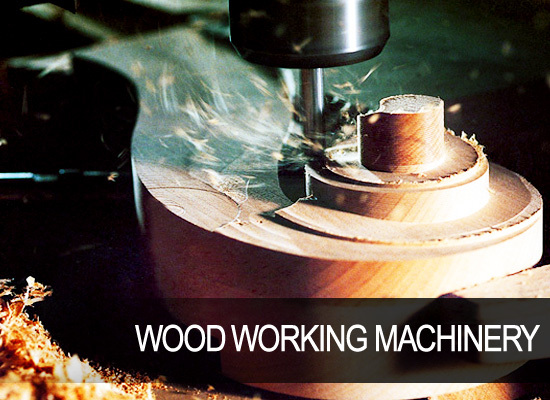 Errors caused by the human factor in manual setting of the cut are prevented. Timesaving with more accurate products. 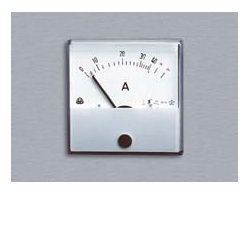 The ammeter scale shows the saw blade engine load during the cut. 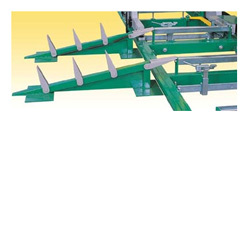 It is designed to simplify the selection of the feed speed; it also indicates the saw blade bluntness. 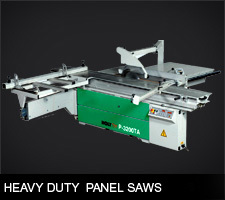 A timely exchange of the saw blade increases its life and improves the cutting quality. 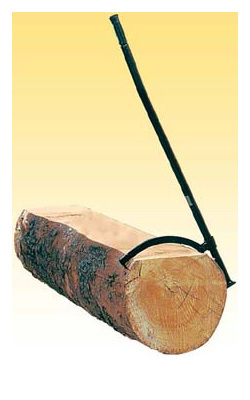 The pre-cutter circular with hard metal tips is designed to remove dirt at points where the saw blade cuts into the log. The saw blade do not get blunt quickly. 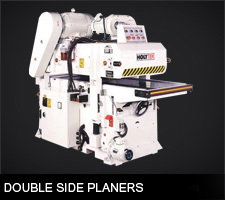 Frequent saw blade exchanges are reduced, the saw blade life, and the productivity of the machine increase. 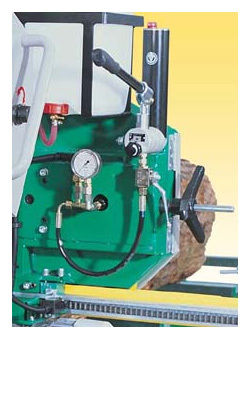 Operated by a hydraulic hand pump with accurate pressure indication. The saw blade straining is more accurate and convenient. 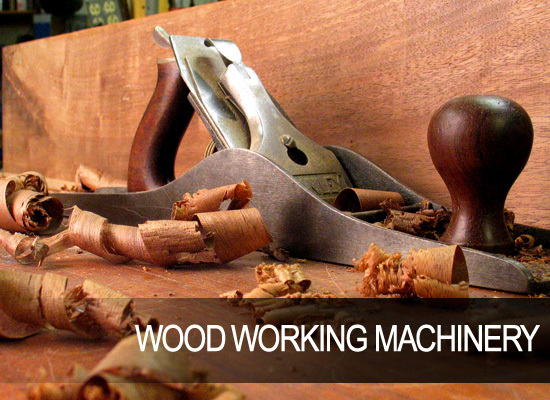 For handling, loading and turning the log on the machine frame. 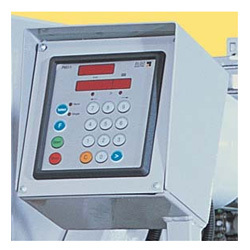 Electronic device enabling a smooth start-up of the band saw main motor. 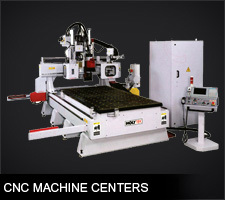 It prevents grid surges reducing mechanical stress of the whole machine. 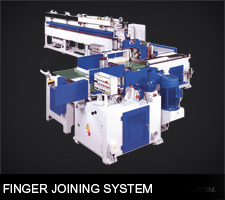 Adjustment of sliding guide bar of the saw blade depending on the log diameter electrically controlled from the central control desk. 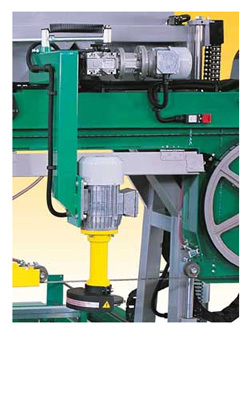 For easy and safe loading of the log on the base frame by anti-roll back stops. Only for models CTR 650 and CTR 800.